I made a huge decision at the back end of last year: to part company with my publisher and get the rights back to the trilogy of novels and the novella that had been released across 2015-2016. Over the past few months, I’ve been reading back through them all again to hopefully spot any typos that might have slipped through the net and also check for any layout issues with the new typesetting of them. I re-released this first two parts of the trilogy – Searching for Steven and Getting Over Gary – before Christmas but didn’t do any promotion with these as the new summery covers didn’t sit right amongst the fabulous snowy and Christmassy covers around at that time. Part three of the trilogy, Dreaming About Daran, was ready just over a week ago and the novella, Raving About Rhys, was re-released at the end of last week so my whole ‘back-catalogue’ is now out there. Which means I’d best get cracking on with some new work. I’m halfway through my next full-length novel, halfway through another novella although I think it’s going to become a novel instead, and have jotted down the start for another two novellas and a novel. Hmm. Must focus and actually finish something! Amazon were able to get my reviews transferred across from the original releases which is great news because I feel privileged to have picked up quite a lot of those and would have been gutted to lose them. I just need to try and get them back up the charts, though, because they’ve dipped significantly from where they were. I’d never really been happy with the covers I had before but I absolutely love my new ones which my husband designed for me. They really capture the essence of the stunning setting of Whitsborough Bay on the North Yorkshire Coast. Although the covers scream summer, it’s actually only Rhys that’s set across the summer. Steven runs from September to June, Gary runs from June to New Year, and Daran spans a year from New Year, as each picks off where the previous one left off. Having said that, all three could be read as standalone books, but it does make more sense to read them in order. Rhys is standalone and chronologically set before the trilogy. I’ve added all the blurbs below. Happy reading! What if you already know your future… but not the path to take you there? When Sarah Peterson accepts her Auntie Kay’s unexpected offer to take over her florist’s shop, she’s prepared for a change of job, home and lifestyle. What she isn’t prepared for is the discovery of a scarily accurate clairvoyant reading that’s been missing for twelve years. All her predictions have come true, except one: she’s about to meet the man of her dreams. Oh, and his name is Steven. Suddenly Stevens are everywhere. Could it be the window cleaner, the rep, the manager of the coffee shop, or any of the men she’s met online? On top of that, she finds herself quite attracted to a handsome web designer, but his name isn’t even Steven… During this unusual search, will Sarah find her destiny? How do you move on when life keeps throwing surprises at you? Elise married her childhood sweetheart, Gary, straight out of college, and they’ve been happy together for over twelve years. Elise is now desperate to start a family, but Gary doesn’t seem to share her enthusiasm anymore. Arriving home early from a party, she discovers why: Gary’s been keeping a secret from her. A very big secret. While her own marriage appears to be falling apart, being a supportive bridesmaid for her best friend, Sarah, isn’t easy. Especially not when Clare, her nemesis from day one, is one of the other bridesmaids. If she’s going to get through it, she needs to put her own feelings aside, find herself again, and get over Gary, fast. Could recently-divorced Daniel be the tonic Elise needs, or is he full of secrets and lies too? Is his hostile, but strangely attractive brother, Michael, the genuine article instead? And why do the good guys like Stevie turn her down? Where do you go when it’s your own past you’re running from? When her boss insists she travels to Ireland to repair a damaged relationship with a key client. Clare finds herself drawn back to the village of Ballykielty where she comes face to face with the one person she’d hoped never, ever to see again. Bubbly Callie Derbyshire loves her job as a carer, and can’t believe she’s finally landed herself a decent boyfriend – older man Tony – who’s lasted way longer than the usual disastrous three months. Tony’s exactly what she’s always dreamed of… or at least he would be if he ever took her out instead of just taking her to bed. And work would be perfect too if she wasn’t constantly in trouble with her boss, The She-Devil Denise. When the new gardener, Mikey, discovers her in a rather compromising position at work, Callie knows that her days at Bay View Care Home could be numbered. Can she trust him not to tell Denise? If she was issued with her marching orders, who’ll look out for her favourite client, Ruby, whose grandson, Rhys, seems to constantly let her down? What does Ruby know about Tony? And what is Denise hiding? Surrounded by secrets and lies, is there anyone left who Callie can trust? Jenny Kane is living the writing dream! Our guest today on the blog, is the talented and prolific, Jenny Kane. 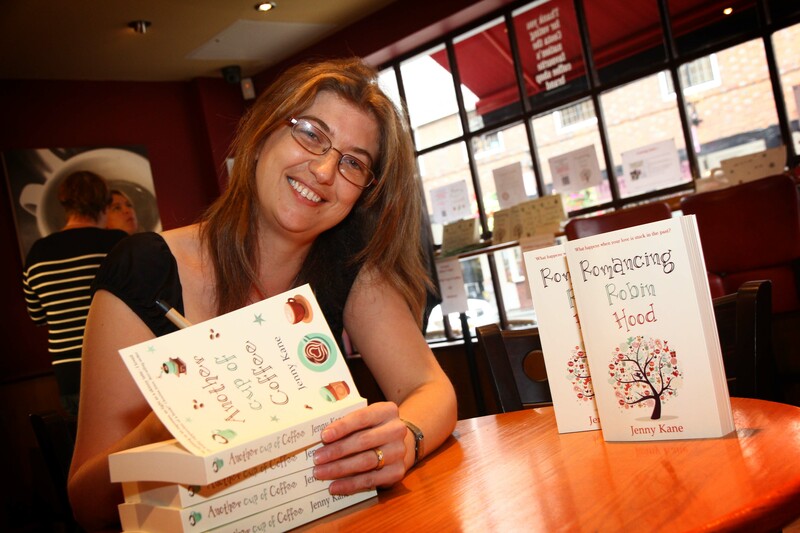 Jenny is the author the contemporary romance Another Glass of Champagne, (Accent Press, 2016), Christmas at the Castle (Accent Press, 2015), the bestselling novel Abi’s House (Accent Press, 2015), the modern/medieval time slip novel Romancing Robin Hood (Accent Press, 2014), the bestselling novel Another Cup of Coffee (Accent Press, 2013), and its novella length sequels Another Cup of Christmas (Accent Press, 2013), and Christmas in the Cotswolds (Accent, 2014). Jenny’s fifth full length romance novel, Abi’s Neighbour, will be published in June 2017. 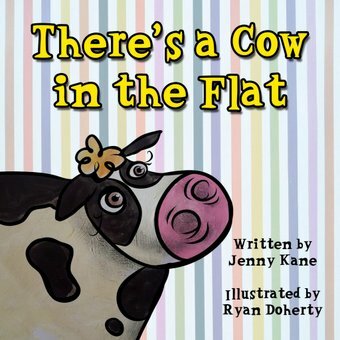 Jenny is also the author of quirky children’s picture books There’s a Cow in the Flat (Hushpuppy, 2014) and Ben’s Biscuit Tin (Hushpuppy, 2015). What has surprised you most about being published and has it lived up to the dream? It is twelve years since I had my first short story taken by a publisher, and I still can’t believe my luck. I’ve worked with many different publishers since then, and although I’d be kidding myself if I said there have never been frustrations alongside the joys, on the whole it has been fantastic! To be able to get up every morning and make things up for the entire day- and actually get paid for going so…that is a dream come true! Can you tell us a bit about the plot for your latest novel? My latest novel, The Outlaw’s Ransom, is a little bit of a departure from my usual romantic comedy/friendship style fiction. Although it still contains a romantic tale, it is largely a medieval murder mystery. I’ve been a lover of all things medieval from the first time I clapped eyes on an episode of Robin of Sherwood on the television back in the 1980’s. Since then, I’ve had a fascination with the era- especially the thirteenth and fourteenth centuries- that has never waned. It was this interest that led me to write The Outlaw’s Ransom. I loved creating the character of Mathilda of Twyford. I have to confess however, that The Outlaw’s Ransom is not where Mathilda first saw life. The story of The Outlaw’s Ransom appears in a shorter form within my timeslip novel, Romancing Robin Hood (written as Jenny Kane). It was the popularity of the medieval part of that novel that led to The Outlaw’s Ransom– and to its sequel, The Winter Outlaw, which will be published in November 2017.
Who was your first hero and how do you think he’s influenced your writing, if at all? It might not surprise you, in light of my previous answer, that my first hero was Robin Hood- and indeed- whoever it was who first wrote his stories back in the (I believe) thirteenth century. The love of the ballads led me to research a PhD on the subject of medieval literature and crime- it was completing my doctorate that taught me how to write. Do you think it’s true that you should ‘write what you know’ and, if so, to what extent have your experiences influenced your writing? I am guilty of overusing my life experiences within my work. 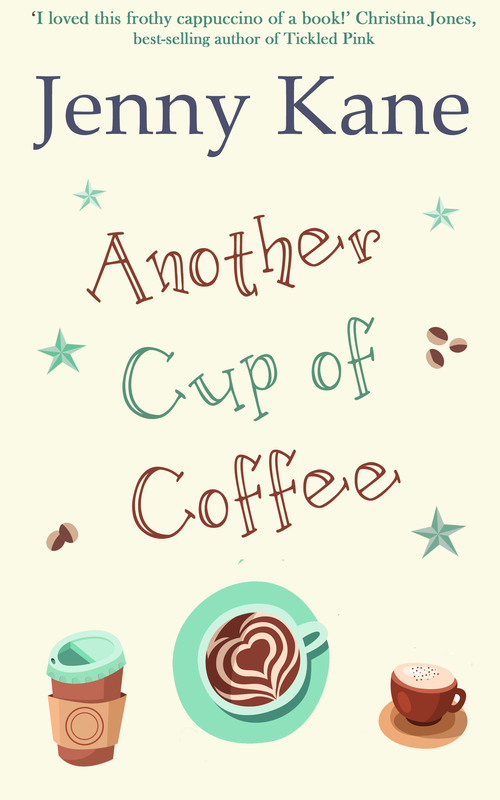 The entire Another Cup of… series (Another Cup of Coffee, Another Cup of Christmas, Christmas in the Cotswolds, Christmas at the Castle and Another Glass of Champagne), is based on my own experiences of life as a student, a mother, a frequenter of coffee shops, and a writer. My Cornish romance, Abi’s House, is set in the Penzance and Sennon Cove area of the country, where my grandparents lived, and where I spent much of my childhood. Even Romancing Robin Hood, which is part set in the modern era and part in the Fourteenth century, steals from my own life. It features a medieval history tutor based at the University of Leicester. I wonder if you can guess what I used to do for a living- and where? I have three projects on the go at the moment. I am double checking the edits of the sequel to Abi’s House- Abi’s Neighbour– which will be out in May. I’m also editing my second Jennifer Ash book, The Winter Outlaw. Meanwhile, I am working on the promotion of my latest Kay Jaybee novella (erotica), Wednesday on Thursday. Once all that is sorted, I have a brand new novel lined up in my head, ready to be dashed out onto the computer before another idea takes hold. We know you write both romance/women’s fiction and erotica under a different pen name. Do you ever think about writing in a different genre, if so, what would you choose? As well as my erotica (Kay Jaybee), and my historical fiction (Jennifer Ash), I also write children’s picture books. I keep the name Jenny Kane for those- anymore many pen names and I’ll start to forget who I am! If I branched out further I’d have a go at a thriller- or maybe some horror. If you could have three writing-related wishes, what would they be? That’s a tricky one- but here goes…. I’d love to get an advance for my work. To have all my books available in paperback as well as on Kindle/download. And this really is wishful thinking – to have one of my novels made into a film. Many thanks for welcoming me to your site today Jo, and for asking such great questions. Jenny also writes as Jennifer Ash. 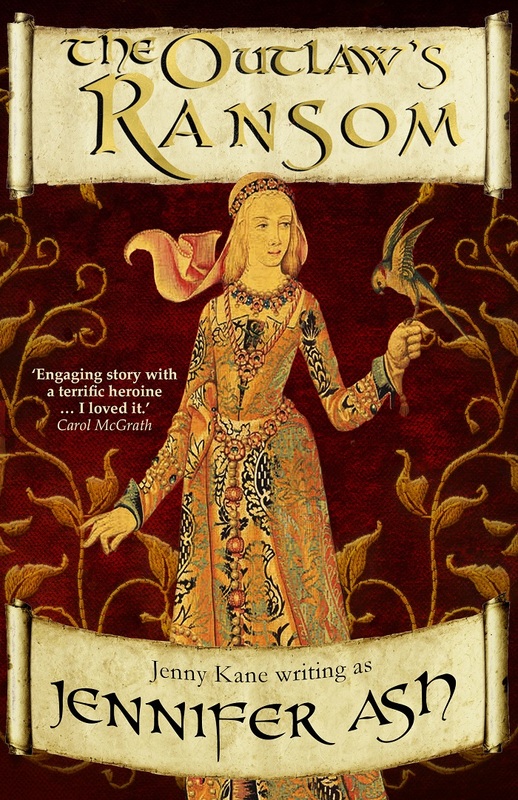 Jennifer Ash is the author of the medieval murder mystery, The Outlaw’s Ransom (Dec, 2016). Her second novel, The Winter Outlaw, with be published in 2017.